When the first faint scent of wild garlic wafts through the spring air, many people’s thoughts turn to foraging. And this year there is more of an interest in wild food than ever before, as Copenhagen’s Noma – the menu of which has foraged food at the heart of its menu – has been named as the best restaurant in the world. More than one Irish restaurant has been putting out the call for their own personal foragers. But just how easy is it to find the right things to eat? Ecologist and forager Tom O’Byrne took me on a walk through a nature reserve north of Cork city, revealing many hidden treasures for Lyric fm’s Culture File. 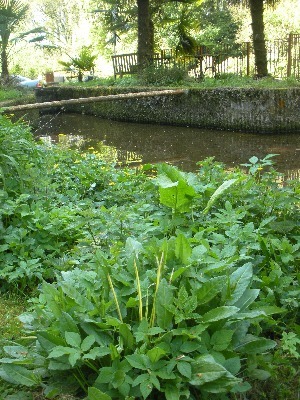 Note – Tom’s tip for picking nettles is not for those of us with “soft” hands! Check out the GIY Ireland website for more information on foraging in your neighbourhood. They’re currently organising a forage in the Dublin’s Phoenix Park as part of the 2011 Bloom Garden Festival. More information here.